It’s soup season again! This is a fantastic time to think about starting the GAPS introduction diet. Wondering what the Gut and Psychology Syndrome Introduction diet is? This explains the how and why of it here. When you’re starting a new diet like this, especially for a child or for a whole family, it can feel like you’re really alone. That’s where this big ol’ wonderful internet comes in wonderfully, with success stories, with stories of how different people prepared, and with the confidence of knowing that you’re not the only family who has done this! I love Red and Honey’s Who-What-When-Where-Why post describing their family starting the GAPS intro. From her list of symptoms, her family is a pretty typical modern family with symptoms from chronic fatigue to sleeping trouble to food intolerances, which many relate to. See her followup post here with a link to her Flicker album of GAPS pictures – I love their beautiful simplicity as well. Jennifer of 20-Something Allergies has a post linking to all of her GAPS intros- including false starts and re-starts, which is a reality in so many families. She is so inspiring as she works to heal her daughter with over 20 food sensitivities! Danielle of Love Love Thing (LOVE the blog name) describes what it’s like on the GAPS diet, answering the questions So what’s it like to be on the GAPS Intro Diet? Is it impossible? Is it doable? How much time and work is involved? Is it worth it? I love where she says that if you’re cooking for a family on the GAPS intro, you’ll be cooking more than you ever thought possible! I totally relate to that! She details her first week on the GAPS intro here as well. Melanie of Honest Body, who we’ve already met on the blog talking about diatomaceous earth as well as cod liver oil, was greatly influenced by hearing Dr Natasha speak as she had yet again been troubled by another round of antibiotics. This busy mom of 4 put her whole family on GAPS, I love this quote “From that point on things improved dramatically, the kids started eating vegetables, meat, broth and ferments voraciously, and we came to feel so NOURISHED.” As she talks about how great they felt after the initial few days. See more of her story here. And check out her GAPS class (not open now) here. 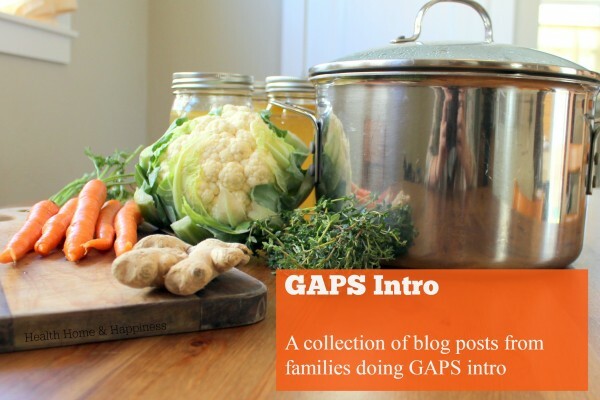 Raia has some great GAPS Intro tips in her post, she has a great recipe roundup as well. As you’re starting the gut and psychology introduction diet, you’ll find her ‘play by play’ to be interesting – she describes what they ate during the first stages here. As a note, fruit/raisins are now allowed on the intro stages, I think she was just giving them to the kids and doing a modified intro with them. Eileen tells you what you need to know before you start GAPS Intro here, where she shares resources that she used for GAPS intro, and describes how she avoids stress with the GAPS Diet. 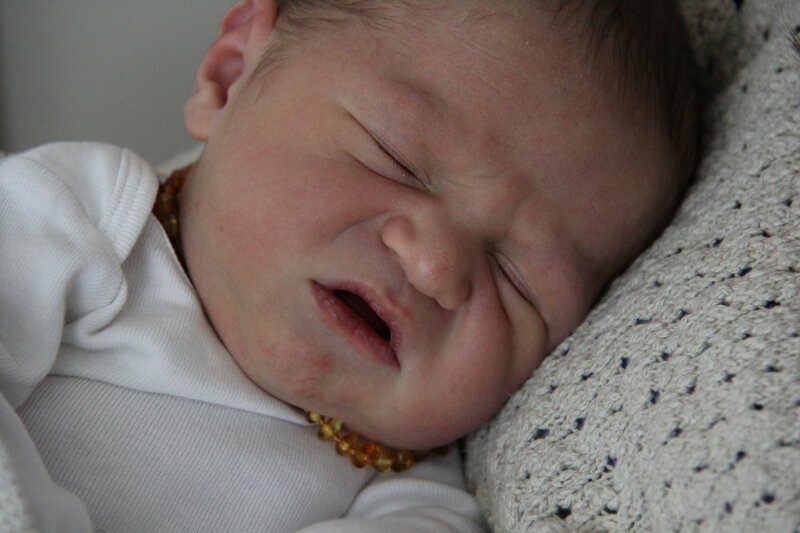 She’s done the introduction diet a few times and is an experienced mom- I love her blog! Rebecca went on GAPS intro after doing the NAET protocol to get rid of allergies – her perspective is an interesting one, I haven’t used NAET but have been meaning to look more into it. She explains more here. Thanks to all these ladies for sharing what they did and how they did it! It’s so much help when you’re starting a daunting task like GAPS. The Leaky Gut class can help those who need more individual help than GAPS can even provide, I have used it and I highly recommend it. I just have a question about the GAPS diet. I have severe digestive issues and had my Gall Bladder removed years ago which added more problems. Would like to try GAPS but am concerned about my ability to digest all the protein and fats because of no gall bladder. So will this diet be OK for me? Another question. Won’t this make my body much more acidic which would make you more prone to cancers? Lisa, as far as I know, the protein amount should be okay. If I were you I think I would skim the fat off the top of the broth rather than mixing it back in. I have been on GAPS since August this year. It has not been easy road giving up the starches, potatoes, rice and grains. I went on GAPS because of terrible inflammation in my joints and ongoing skin breakout issues at age 47! I had been on birth control pills and antibiotics for years so I wanted to repair the damage to my gut lining. So far, I have not noticed any positive change in my skin or joint pain. It has been almost 3 months and I have also gained 3 pounds.. I’m not sure why, maybe because of the raw milk kefir and yogurt I am making, or the coconut oil and butter I am using abundantly, but I was hoping I would have gotten some results by now to give me the motivation to continue. I am going to persevere through the holidays and see how I ring in the new year. I am really hoping for a breakthrough but realize that years of damage is probably going to take some time to repair. Overall, on a positive note, my digestion is doing really well. I just finished Intro today! My experience was that the first 3 days were a little challenging. I felt hungry and tired and didn’t know what to eat and ended up cooking new soups several times a day. Then it got easier and I got the hang of what to cook. This was also my second time doing Intro and much easier because I had already been doing GAPS for so long. My advice is to allow plenty Of time off and rest (i.e. No work or school) for the beginning of Intro. Claire: my advice is to work with a certified GAPS Practitioner. This can really help you and avoid wasted time and effort. Also, even if one does GAPS correctly, one May not feel better for even the first 12 months! (I have done GAPS for a long time and I am working with a certified GAPS Practitioner and I haven’t Ever felt better. My child has an allergy to nuts and a sensitive to coconut. She has eczema and coconut worsen her itchiness. What would ve the alternatives to these? Especially when it comes to baking bread and muffins?